I publish this post exceptionally only in English. I interviewed US-based obesity researcher Stephan Guyenet (Twitter: @whsource, homepage: stephanguyenet.com) because he has recently launched an interesting project called Red Pen Reviews. Red Pen Reviews aims at publishing the most informative, consistent, and unbiased health and nutrition book reviews available. They exist ”to help you evaluate the information quality of the books you read or are thinking about buying”. Red Pen Reviews is very much needed; misuse of evidence in best-selling nutrition/health books is widespread and even scientific journals publish poor and misleading reviews on popular diet books. As far as I can see, Red Pen Reviews is unique, nothing like this has existed previously. Given the epidemic influence of globally successful diet books, this project may well become essential resource for many nutrition experts globally in fight against annoying hype and baloney related to food and diet. Why did you want to start this project? Stephan: Over the years, I’ve grown increasingly frustrated with the quality of health and nutrition information in the public sphere. I call it an ”exploding volcano of nonsense”. Truthfully, there is good information as well, but it’s diluted by bad information, and it’s difficult for the public to tell the two apart. The fundamental problem is that there is little incentive to be accurate in the public sphere, and there is a substantial incentive to be inaccurate. Novel claims sell books, build audiences, and sell associated products such as supplements. Typical book reviews offer little help. Reviews on sites such as Amazon.com are nearly worthless, and even reviews in reputable media such as newspapers are typically written by non-experts, rarely involve reference checks, and are inconsistent because they focus on whatever aspects of the book catch the reviewer’s interest. We created Red Pen Reviews to address these problems. At the core of what we do is the Red Pen Reviews method, which is a structured, semi-quantitative book review method that numerically scores books on scientific accuracy, reference accuracy, and healthfulness. This yields a concise, easily digested summary of each book’s quality, and allows books to be directly compared to one another. Each review is conducted by a subject-specific expert and peer-reviewed by a second expert. It is impossible to design a book review method that is informative and completely unbiased, however our method takes concrete steps to reduce bias to the lowest level possible. 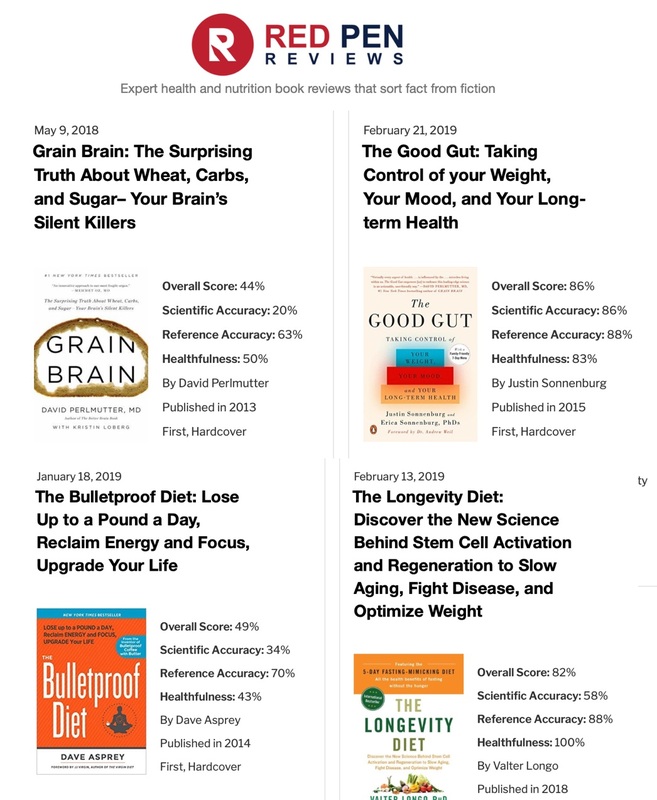 We created Red Pen Reviews to help the public evaluate the information quality of the health and nutrition books they read or are thinking about buying. Ultimately, our goal is to change the incentive structure of the publishing industry by forging a link between a book’s accuracy and its popularity. We intend to become the default resource for anyone who wants to evaluate a book’s information quality. Ideally, we would like our method to encourage and help authors to write better books rather than giving books low scores after they are written. I think you have managed to gather a team that has potential to do trustworthy and high-quality reviews. How did you pick up your team? Stephan: I feel very good about our team. I had a few important criteria for selecting reviewers. First, they have to be experts. All reviewers have a master’s degree, higher, or equivalent in a relevant field of science. Second, they have to be good writers and capable of writing for a general audience. Third, I prefer people who have an interest in, and history of, engaging with the public. Fourth, they can’t be strongly associated with a particular dietary philosophy/community so their judgment is not clouded by tribalism. I should also note that some of the review team was involved in creating the Red Pen Reviews method, which involved a long process of deliberation and many iterations. Dan Dell’uomo is a recent addition to the team and has been a great web developer. 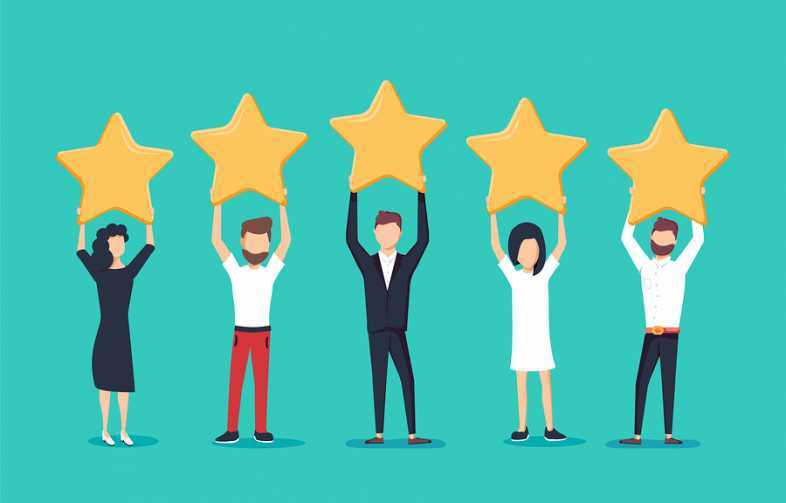 We are currently recruiting additional reviewers because the review method is time-consuming and we need more people to generate a sufficient volume of reviews. Are you going to focus solely on books that are primary about diet and dietary supplements; or do you intend to write also about medicine or drug treatment as such? Stephan: Currently we are focused on diet books, however I would love to expand to other topics in the future. We would need to recruit reviewers with other areas of expertise, such as MDs. Ultimately I would like to expand to exercise science, medicine, and other related topics. Our method should be adaptable to a wide range of topics. I would also like to expand to include books written in other languages. There are many possibilities for increasing the number of people who our method serves. But that is all in the future. How many book reviews you aim at publishing annually? Stephan: My current goal is one review per month. That may not sound like much, but the review method is quite time-consuming and that would be 12 books a year. That should cover most of the popular books that are currently being published, and a few classics. I would be delighted to expand beyond that, but it would depend on several factors including how much funding we can secure. How do you select which books you review? Will someone review the books your team members have/will publish? Stephan: Reviewers select the books they want to review. However, I encourage them to select books that are impactful in the public sphere. Books will generally either be popular (selling many copies) or influential in some other way. The success of our mission depends critically on being as objective as possible and projecting objectivity to the public. For that reason, we have strict conflict of interest policies. We disclose all possible conflicts of interest in the biographies on our review site. ’We do not review books written by reviewers. Reviewers do not review books written by a friend, or any other book that might involve a real or perceived conflict of interest. For example, I have recused myself from any involvement in reviewing any book written by Gary Taubes, due to our past history. If a reviewer chooses to review one of his books, my only involvement will be to paste the completed review into the website. Furthermore, reviewers do not fact-check books that we may review in the future. For example, if an author wants us to fact-check her book prior to publication, we will not do that because I view it as a potential conflict of interest. I may be favorably biased in my review if I know that another reviewer has fact-checked it. Many American diet books are launched here in Europe only if they are extremely successful in US first. It is frustrating how badly such books can distort global perceptions on healthy diet. What are your views on the global influence of certain books; and what role journalists, nutrition professionals and scientists play in this process? Stephan: I don’t know very much about which US books make it to other countries, or how they compare to the quality of books that are written locally. However, the US health and nutrition publishing industry is certainly an ”exploding volcano of nonsense”. I’m guessing you get the worst of it because the best sellers often promote the most outrageous claims. My apologies from across the Atlantic; we’ll see if we can help a little bit with Red Pen Reviews. A social media star can become relatively easily (?) a millionaire in US by writing a “revolutionary” diet book which typically distorts science and mocks dietary recommendations and dietitians/other nutrition professionals. 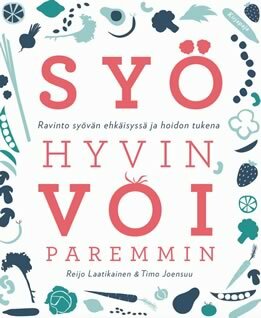 We know for example that Eat Right 4 Your Typebook has sold much more than 7 million copies. 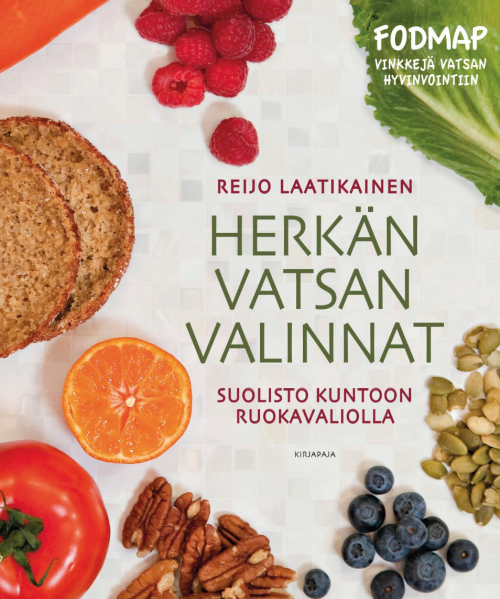 As far as I know, a typical commission for diet book author in Finland is around 12-25 % from whole sales price of a book. An average whole sales price might vary between 10-20 euros per book. 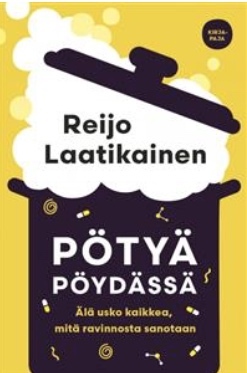 Based on my informed guess, more than 95 % of diet books sell 1000-10000 copies in Finland and very rarely more than 15 000 copies. Can you estimate if the commission level is approximately same in US, and how many USDs an author may typically collect from each sold book? What thoughts and feelings this incentive structure raises in you? Can you name any recent probable diet book millionaires In US? Stephan: Yes, it is possible to make a lot of money writing a diet book in the US. For a major publisher, the commission is similar to the low end of your range. However, writing a best seller is less likely than becoming a professional football player. Although the potential rewards are large, the probability is exceedingly low that a book will be a top seller. Still, it is an incentive, and a bad one. Books are only the tip of the iceberg though. A successful book can be used to monetize in other ways, selling services, supplements, or advertising online. That is much more lucrative than the book itself. David Perlmutter for example has an entire commercial empire around his books that must be making him a large fortune. Anything you would like to say to your European followers and nutrition experts? Stephan: Hello from the US! I appreciate your work, and perhaps we will meet someday!